I have a favor to ask you lovelies. Are you ready? Please step away from the processed, artificially flavored, Non-dairy creamer my friends. I’m so not kidding. I have’t been keeping up on the Real Food Blog buzz, but I’m 100% certain that not one of us thinks using those products is a good idea. Too many fake ingredients, doing Lord knows what to your endocrine system, your digestive system, and to the rest of your body. It’s time to get real and Real Foodify your creamer. Even Food Babe agrees. I suppose I wouldn’t be doing my job if I didn’t share with you some reasons behind why I’m asking you to stay away from coffee creamers such as Coffee Mate ™. Let’s dig a little deeper into that label, shall we? Usually, the number 1 ingredient in those processed “creamers” is sugar. 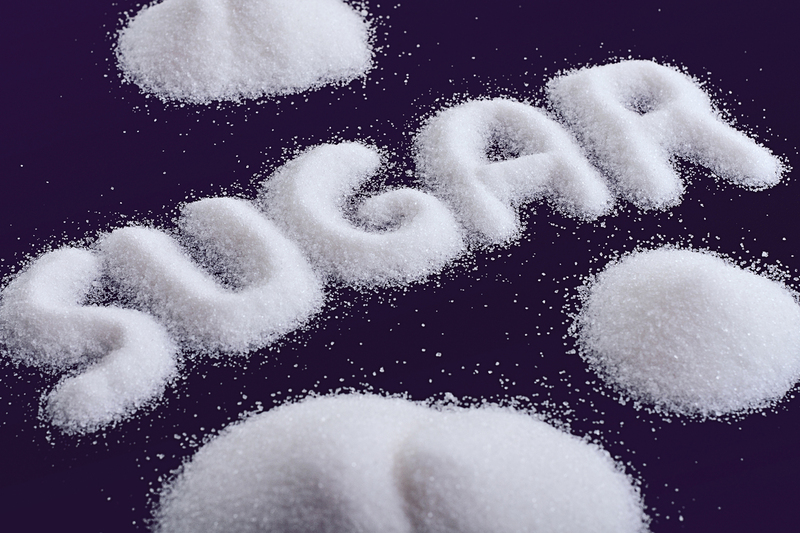 Because refined dietary sugars lack minerals and vitamins, they must draw upon the body’s micro-nutrient stores in order to be metabolized into the system. When these storehouses are depleted, metabolization of cholesterol and fatty acids are impeded, contributing to higher blood serum triglycerides, and higher cholesterol. A body with depleted micro-nutrient stores will also be at risk for obesity due to higher fatty acid storage around organs and in sub-cutaneous tissue folds. I actually read a couple labels in the store and one of the ingredients was ‘Cream Flavor’. Um, they have to flavor it to taste like real cream. And we think “Ahh, it can’t be “that” bad, I mean, I can’t have dairy…” Yikes- then use coconut milk or almond milk, or cashew milk, or coconut cream. Anything but this stuff. I’m beggin’ ya. (Trans-fats) which has been documented to cause high cholesterol which leads to hardening of the arteries that ultimately can bring on a heart attack. Seriously! So why are those vegetable oils so bad? When you eat a trans fatty acid your body incorporates it into your cells- your cells become hydrogenated! The consequences include increased chances of heart disease, sexual dysfunction, a weakened immune system, diabetes, and obesity. And that’s not an all-inclusive list. Depressed yet? Most European countries have either banned hydrogenated and partially hydrogenated oils altogether. For some reason our government wants us all fat, sick and stupid. Or, they don’t, but they’re so blinded by power and greed that they don’t give a hoot. 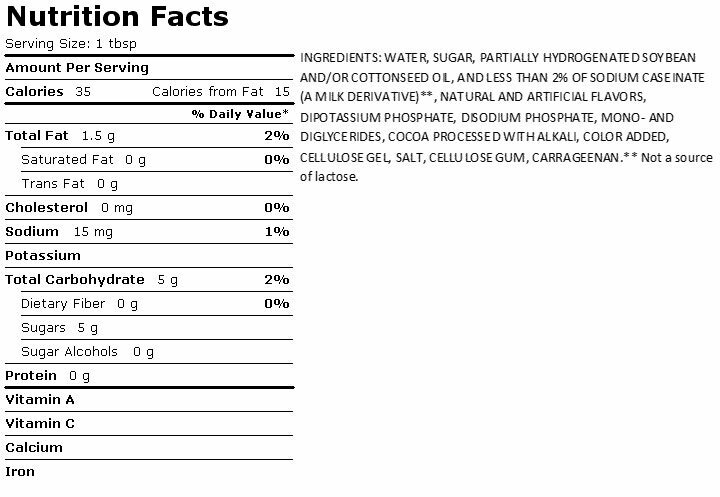 Corn Syrup Solids and/or High Fructose Corn Syrup (HFCS) is another ingredient. This fun little guy causes diabetes and, to boot it’s made from GMO corn. When corn syrup has been concentrated to contain less than 10 percent water, it can be listed as “corn syrup solids” in an ingredient statement. To qualify as “corn syrup solids,” the glucose (dextrose) content must be at least 88 percent of the weight of the concentrated syrup. This product can be called “dried glucose syrup” or “glucose syrup solids” in an ingredient list. If you know me, you know I’m a huge critic of HFCS in food. I don’t trust that ingredient at all! It was one of the first ingredients I stopped consuming long before I ever got into Real Food. HFCS is more dangerous than regular table sugar and it contributes to weight gain by affecting normal appetite functions, and that in some foods HFCS may be a source of mercury known neurotoxin. One of my favorite ingredients in these flavored Non-Dairy creamers is dipotassium phosphate. Dipotassium Phosphate side effects include, but are not limited to: Pneumonia, Renal Failure Acute, Vomiting (Nausea and vomiting), Diarrhea (oooh, Hershey Squirts, anyone?) Asthenia (Weakness) Renal Failure (Acute kidney failure), and decreased hemoglobin. Sounds like fun, doesn’t it? Carrageenan. Oh, that’s a fun ingredient. Ok, not really. I should probably check my sarcastic comments at the door. Sorry about that. If you’d like to learn why I believe Carrageenan should be avoided if it can be, read THIS article and THIS one. 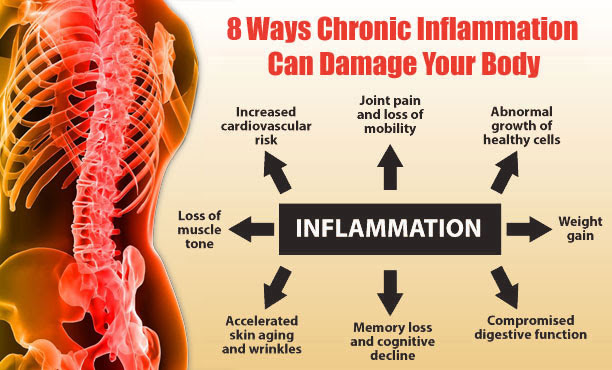 I also feel that you should avoid it like the plague if you are prone to digestive and intestinal issues or diseases. *Added colors. Why? 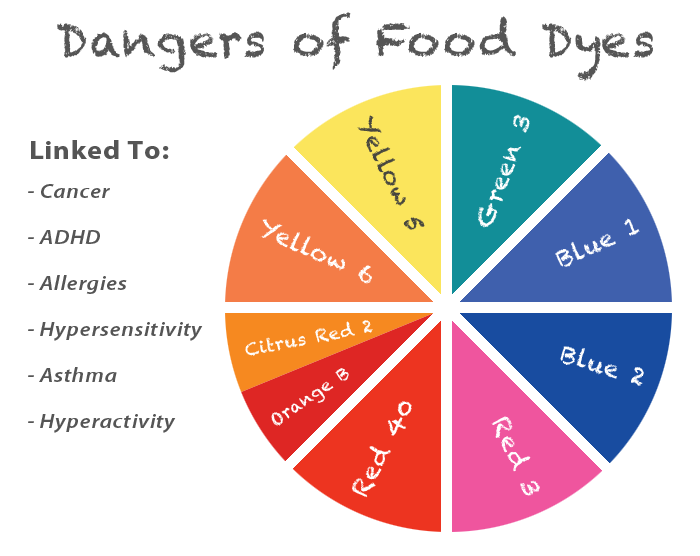 Why would you need to add colors? I’ll let Dr. Mercola school you on why we seriously need to run from artificial food dyes and colors. My brain hurts so I need a break. LOL- Does your brain ever hurt when you have to pick apart a label and you just can’t believe the level of garbage in that product and you wanna bang your head on a wall, cry, scream, pull out your hair AND throat punch the dude who runs the company that manufactures this crap? Gah!! That would be me right now. Sorry. *Lastly, the final crap-ingredients in those Non-Dairy flavored creamers are Mono and Diglicerides which are used to prevent oil separation, since your creamer is water, sugar and OIL, these are necessary. But they aren’t necessary to our bodies. Nope. Avoid these my friends. Avoid them like you would “Avoid the Noid”. These diglicerides are used for their whitening effect and artificial creamy flavor. They are used to prolong shelf life, once again, to maximize profits. Um, is anyone else grossed out by the words “creamy flavor”? Hopefully I’ve dissuaded you from wanting to continue using those Non-Dairy creamers, or from ever wanting to try one. I’ve more than likely completely bummed you out a bit. For that I’m somewhat sorry. More importantly, I’m just happy I could shed a light on this nasty product and open your eyes to something much, much better for you. I have a recipe that I thought you guys may wanna try. 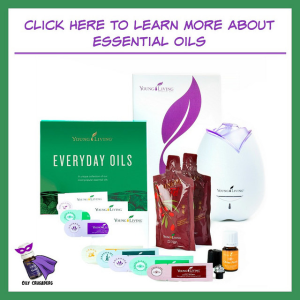 It uses Young Living Essential Oils, but don’t panic if you don’t have the oils because you can totally use dried spices. I would start with a rounded 1/4 tsp. of organic cinnamon, and about 1/8th tsp. 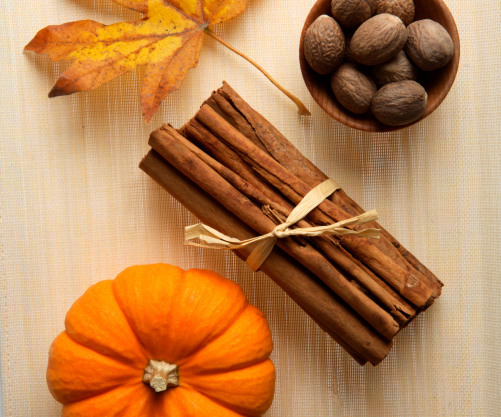 of clove and ginger– but you could just skip all those and use a scant 1/2 tsp. 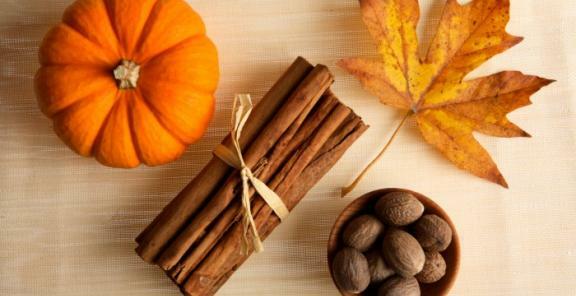 of organic pumpkin pie spice. GENIUS! Personally, I’d add a little maple syrup to this dreamy creamer. I can see myself adding this to a yogurt smoothie in the morning. Mmm!! 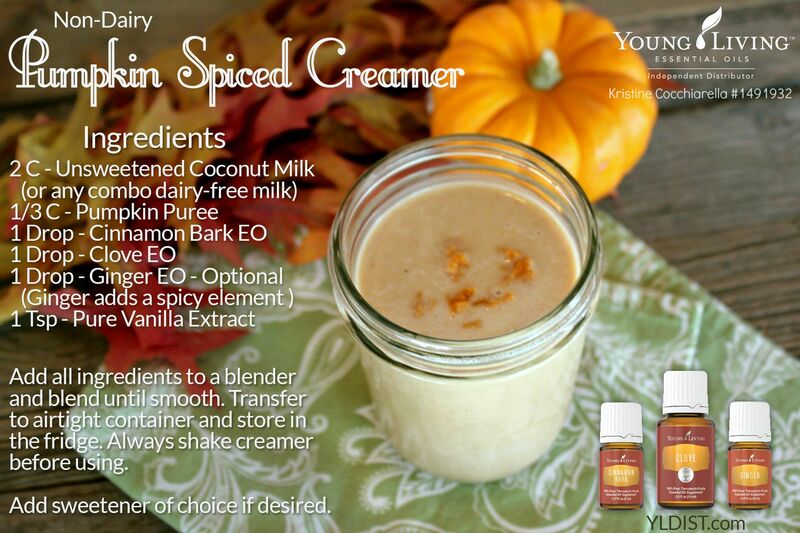 A Fall-inspired Real Food, non-dairy, GF creamer that you can feel good adding to your coffee. Transfer to an airtight container, such as a mason jar and store in the fridge. Store properly in the fridge, this should last about 7 days. If you don't have any YL essential oils on hand (because seriously folks, don't use any other brand for cooking) simply use organic ground spices. 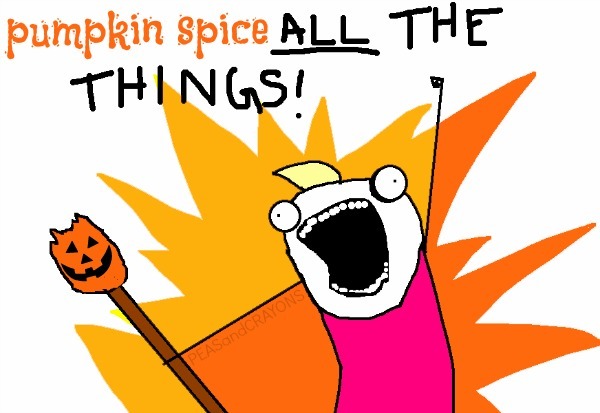 I think a nice half teaspoon of organic pumpkin pie spice would be great, or 1/4 tsp. cinnamon, and 1/8th tsp of clove, ginger and maybe allspice. 🙂 Oh and 1/8th tsp. is about a pinch. Start with less and add more because you can never take away if you add too much, but if you add too little, you can always add more!